Sahib and the Crew Save the World: Culturally Influenced is NOT Racially Motivated! *Editor's question: Does anyone with three active brain cells actually believe that no one in the Sanford, Florida police department or district attorney's office has any sense of self-preservation? As I state later in this post, I do not know what happened between Trayvon Martin and George Zimmerman. A nation-wide campaign of hysteria is demanding the arrest of George Zimmerman and yet he has not been arrested. The question is, why? The pressure on the law enforcement agencies of Sanford, Florida must be immense. The president is comparing Trayvon Martin to his much-beloved fictitious son for goodness sake! So again, we need to ask, why? 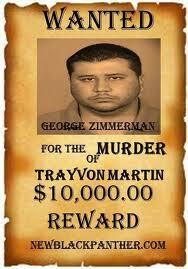 I bet Sanford officials would LOVE to arrest George Zimmerman and throw him in shackles immediately. Unless they are willingly sacrificing themselves for George Zimmerman, I would think the evidence corroborating his story would have to be compelling. We shall see. And now on with the show! With the PC Liberal propaganda campaign, these terms have come to have extraordinarily negative meanings. However, without prejudice specifically and stereotypes in general, we would struggle to make it through the day. Let's start with an example of how prejudice and stereotyping keeps us safe. You are travelling down a 4-lane interstate. You anticipate passing, on the left, a slower vehicle going the same direction as you travelling in the right lane. The vehicle in the right lane turns on its left turn signal indicator. You slow down and do not attempt to pass the vehicle in the right lane. Why? Because you "pre-judge" that the car in the right-hand lane is going to move in front of you and obstruct your ability to safely pass them. From previous experience, you have "stereotyped" cars that have on their turn-signal indicators. Does this mean that the car is actually going to move into your lane? Of course not. But your experience has taught you that this is the most likely scenario. Does this make you a bad person? Are you unfairly judging the car in the right-hand lane? I mean, just because 95% of cars with their turn-signals on actually turn, doesn't mean that ALL cars with their turn-signals on will turn. Here is a more specific scenario. You are walking down a city street late at night. You are following a black man in a three-piece suit carrying a briefcase. He turns to face you, sets his briefcase down, says "excuse me", and reaches in his jacket pocket. Are you frightened or alarmed? I wouldn't be. Why? Because I have "prejudged" and "stereotyped" people in suits, with briefcases, and that say "excuse me" to not be threats. Now say that same black man is wearing a hoodie, baggy jeans, and is carrying a paper bag. He turns to face you, drops the bag, says "Yo! ", and reaches into the pocket of his hoodie. Are you frightened or alarmed now? I would be. Was my reaction based on race? No, it was base on cultural prejudice and stereotypes. Was it even right? Perhaps not. Maybe the black man in the suit was Barack Obama planning to tell me he was raising my taxes, shipping guns to Mexican drug cartels, and generally ignoring the parts of the constitution he finds inconvenient. Conversely, perhaps the black man in the hoodie was pulling out a piece of paper with an address and asking for directions. The human brain uses past experiences and knowledge to evaluate the most likely outcome and responds to that evaluation. Now lets say that the man in the hoodie was going to ask for directions. However, based on my prejudice and stereotypes, I make the horrible mistake of pulling out a gun and shooting him due to fear. Was that a racially motivated "hate-crime"? Jesse Jackson, Al Sharpton, and probably Barack Obama would say yes! I would submit to you, devoted readers, that it would have been a culturally influenced terrible mistake. A mistake for which I should be punished, but should not be classified as a racially motivated "hate-crime". Now I do not know what transpired between Trayvon Martin and George Zimmerman. Only George Zimmerman and Trayvon Martin were privy to that information. Al Sharpton, Jesse Jackson, and other civil rights "activists" portray Trayvon as an innocent upstanding young man who was just going home, and portray George Zimmerman as a racist who hunted him down and murdered him in cold blood. Some news outlets are telling a completely different story. Regardless of what happened, it was a tragic event. What adds to the tragedy is that some people are using Trayvon Martin's family's, and George Zimmerman's, pain and suffering to bolster their reputations and forward their political agendas. Al Sharpton has done this before. Need a reminder? Google Tawana Brawley. Fearful reactions based on cultural influence ARE NOT equivalent to racially motivated hate-crimes. An over-zealous and armed Latino neighborhood watch patrolman? Yeah, I'd be prejudiced against both of them!